Is it Worthwhile Learning Vietnamese? Choosing a foreign language and then trying to learn a foreign language at the best of times can sometimes be a challenge but on occasions it’s worth putting yourself out and setting a day or a week or so to try to learn a foreign language, especially if you have been offered a job in a country that doesn’t speak your language as well as you do. If your first language is English and you have been offered a job in Vietnam, for example, which involves working for an English speaking company, it’s still worth learning Vietnamese as it gives you more of a window onto Vietnam, which allows you to better integrate with Vietnamese people which may be good for your job. Many people go to Vietnam to teach English but this isn’t an excuse not to learn Vietnamese because it is itself a valuable tool for communication. Is Vietnamese difficult to learn? Learning Vietnamese can be a challenge because Vietnamese has six tones which make it hard for English speakers. This means even if the smallest mistake is made when speaking, the speaker won’t be understood. These sorts of hurdles have to be solved otherwise there are lost opportunities when overseas businesses invest in Vietnam’s business sector. The Vietnamese have to be more patient when listening to those who are struggling to learn the Vietnamese language while the new learner has to work harder at becoming more competent in Vietnamese. It’s certainly not an easy challenge but the rewards will come from the Vietnamese people who really appreciate people who try to learn their less than widespread language. Many English teachers In Vietnam spend most of their day speaking English because that’s what their role is. Even managers of English owned businesses in Vietnam address their staff in English. In some situations workers and temporary residents in Vietnam don’t necessarily need to speak or learn Vietnamese at all. As long as they don’t stray too far from the environment they feel comfortable in especially in relation to language. The question you have to ask yourself is it worth going to live and work in a country where you aren’t prepared to immerse yourself in the culture? You lose so much by not learning your host’s country language as language is the basis of culture and enables the speaker to learn more about the life of the people who speak it. The Vietnamese people often don’t even recognise when non-native Vietnamese are trying to speak their language because of the difficulty non native speakers have in pronouncing the language. They give little time to those who are trying to speak the language but aren’t getting it quite right. They have even been known to mock foreigners who try to speak Vietnamese but don’t get it quite right first time. Sometimes this means many people stick to English rather than trying to speak Vietnamese. Mispronunciation in Vietnamese simply isn’t acceptable and many people just give up learning the language. But being persistent will eventually reap rewards. It’s just a case of learning words and phrases that are most useful in the environment that the learner is likely to spend most of his or her time while in Vietnam. Spending more time practicing Vietnamese with Vietnamese people after attending classes will accelerate the learning of the language and not the other way round. Classes in Vietnamese are only one route to competency in the language but they don’t necessarily give the learners the confidence to speak the language with ease. For many, the Vietnamese language is actually quite easy to read, but the pronunciation is the stumbling block, stifling the language learner’s journey to competency. It’s not surprising because when finding out how many languages are spoken in Vietnam the answer is there are many local languages that have brought about the evolution of the Vietnamese language, resulting in a common language that’s widely spoken across the country which isn’t necessarily easy to learn. There are teaching methods used to help the learner pronounce Vietnamese and if the stages are followed the route to competency will be shorter. 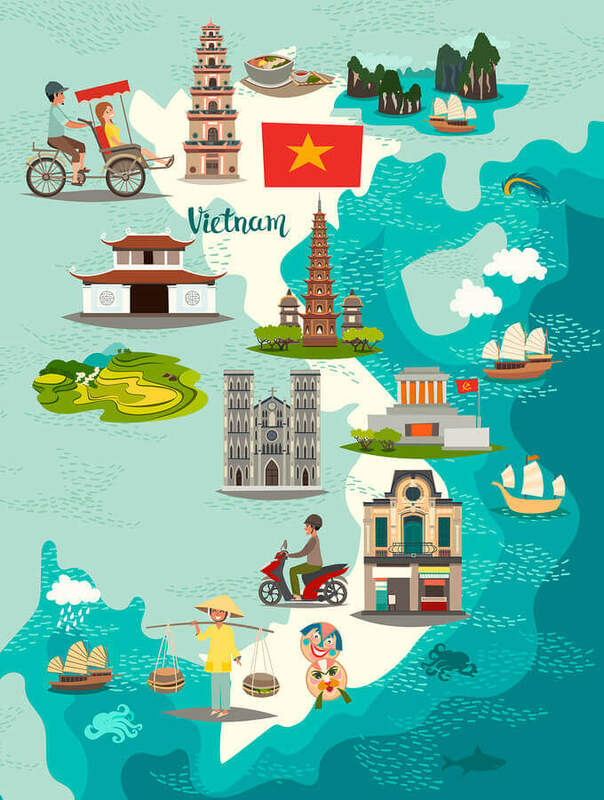 With so many people from overseas wanting to move to Vietnam permanently it’s a crucial time for language schools in Vietnam to recruit these eager learners and devise a course that focuses on solving some of the difficulties they have with pronunciation and other aspects of Vietnamese so they can genuinely become a part of this ever popular destination. When answering the question “is Vietnamese difficult to learn?” research has indicated that Vietnamese is a difficult language to learn and it’s not so much the vocabulary that creates the obstacle but the pronunciation and the wide variety of accents encountered in the country. Some people recommend learning the Hanoian accent because it is the most widespread across the country and at least the learner will be more likely to be understood. The worst thing to do when living and working in Vietnam is to ditch learning the language altogether and just speak ones native language which would most likely only extend to a small group. The world is a multilingual and multicultural place and there is no room for people to ignore languages just because they are hard to learn. Once a learner becomes more fluent he or she will reap the benefits of being able to access a multicultural environment which is more comfortable and makes the wider community more accepting. You are Advised Not to Lie in a Foreign Language! It’s not often you probably really think about whether someone is lying or not but if you do think about it there are some cues that indicate somebody may be lying. Perhaps they start to speak quickly, or even stumble when speaking. Some people will even try to avoid making any eye contact. It seems that not all cultures use the same methods when lying. For English speakers the tell-tale signs that show someone is lying are generally nervousness: a quiver in the voice, little eye contact and stuttering. However, there is still evidence to show that liars aren’t always nervous while nervous people are not always lying. A United States study in 2003 examined the language of lying people and found that speech quality changes when English speakers lie such as the rise in the voice’s pitch. When Chinese speakers of Mandarin told lies online, there was an increase in the use of 3rd person pronouns. Also, in the Netherlands, Dutch speakers’ pronoun use didn’t differ in either lies or truthful speech which is not the same as in English. With Italian speakers there is little difference in pitch when an Italian is telling the truth or lying. However, an Italian speaker speaks more slowly when he or she is lying, which is not the same with English speakers. This may be to do with the fact when speaking normally an Italian speaks faster than English so, when lying, the speech becomes slower. When a non native speaker of a language lies there is some indication that the skin temperature rises in response. This seems to be prevalent more so when someone lies in a language that isn’t their own but not after the translation of the foreign language. Because there has been experimentation on how to detect whether someone is lying, it might be something you can’t conceal even if you think you are convincing. This means you should be very careful when lying as you don’t know who has the ability to detect those lies. There is not complete equality between translation projects, as some are just a matter of translating straightforward documents, while others could be medical or legal documents which ultimately will affect the cost of translation services. 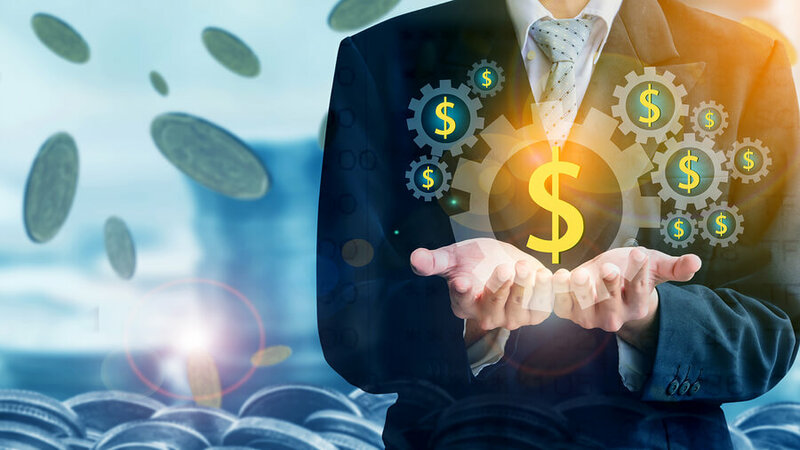 In general, there are 5 factors that play the most important roles in determining the cost of translation while influencing translation prices. Some languages typically cost more than many others to translate. For example, the cost of translation services for English to Japanese is considerably more expensive than English to Spanish. 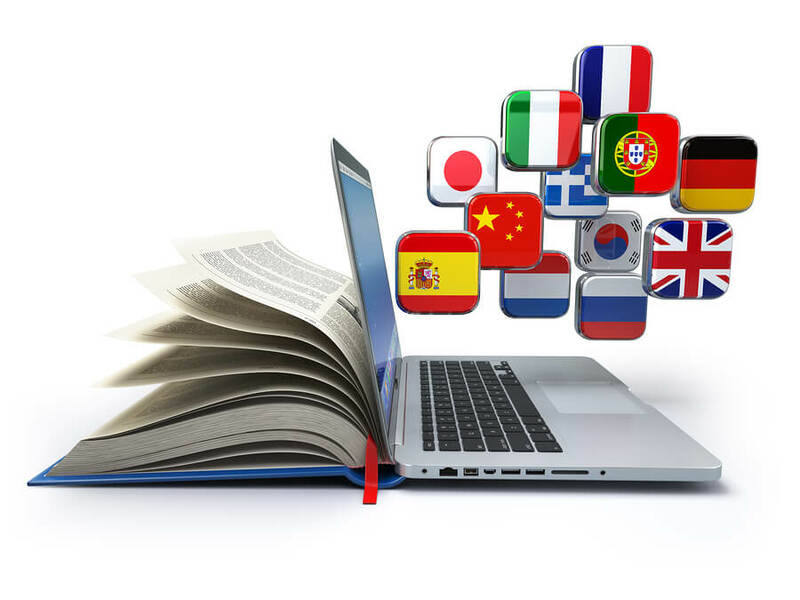 English generally plays the role as an intermediate language, between the less common translated languages, so this means adding an extra layer to the translation process which of course adds to the cost of translation of a complete project. If someone is looking for a translator to translate between say Hindi and Icelandic most Language Service Providers (LSPs) would first try to locate a translator who is able to translate the Icelandic language into English. The second translator will be paid to translate from English into Hindi. This is one of the factors affecting cost of translation. Some translation projects may be considered very important with tight deadline dates set. LSPs take this into consideration when considering the cost of translation services. Some may even charge anything from 10% to 200% more for urgent translation projects. A translation project’s size clearly has an impact on the cost of translation. This is normally based on the word count of the project. For example, a small company memo being translated into another language will quite naturally have a far smaller number of words than a manual for a manufacturing company which needs to be translated into 3 languages. Big projects with different sorts of translation requirements may require a whole team of translators depending on the nature of the work. Often a translation services will charge more for these sorts of projects. Say for example the translation has to be laid out on a specific company website which is already written in the company’s native language. Desktop publishing and website planning are additional services that will need to be used to complete the project well. This of course will add to translation prices. Depending on where the translation will end up will influence quality control. Even though of course all translations should be high quality there are some like for the pharmaceutical industry that might require more than a second pair of eyes to ensure that a high quality translation has been completed. 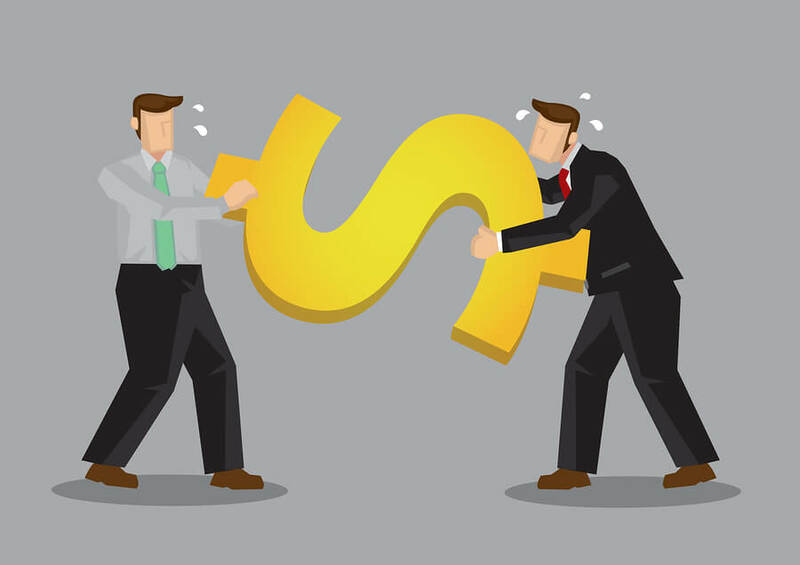 This ultimately is one of the factors affecting cost of translation. Security for almost the whole history of the internet has been a hot topic. These days, whether you are involved in politics, in a business like a translation business, or you are concerned about your own computer or laptop, there have been more real security issues threatening our data that has ever been seen before. All sorts of business and organizations, including multinational corporations throughout the world, use translation services to translate key documents that need to be circulated amongst people who don’t speak English. There are huge numbers of documents and files transiting the internet from one server to another every day. This is just the sort of place a commercial spy could hack and try to access financial details of these well-heeled clients who request translations. 1. Data protection is an important concern so much so that the EU has implemented strict data protection laws such as General Data Protection Regulation (GDPR) from May 2018. This makes it an offense if a business fails to protect any EU citizens’ personal data and other information. It has to be stored, used and transmitted only under strict rules. 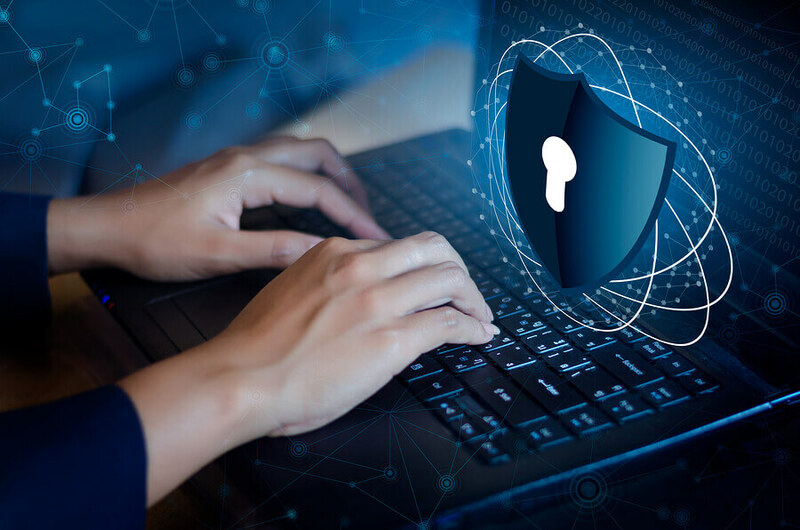 For translation businesses that handle translations for private individuals, this means having suitable security measures in place to protect customers. 2. Cybercrime is on the rise and it doesn’t just affect governments and other well-known organizations but even SMEs which make up many translation businesses are facing problems with cybercriminals who are planting viruses, closing down websites, hacking into systems and even going as far as stealing data and asking for ransoms. This is now referred to as “cyberextortion.” This is certainly not the time to under-invest in following the correct IT security protocols. 3. Industrial espionage is on the increase as companies are increasingly paying individuals to steal information about competitors. This means stealing designs, plans, documents, and proposals. It’s not only about hacking servers and copying files but much more serious as sometimes undercover spies are planted into businesses so they can steal files. Employees are even being bribed to make copies of key information. Translators are quite obvious targets as often they don’t have the most sophisticated of security measures to protect their LSP clients. They commonly work at home with little or no security in place. Maintaining a high level of security for both translators and clients is a high priority for all translation companies. One of the most important steps is to ensure translators know when something unusual is taking place on their computer so a security alert can be put in place. A microsite is a website that is smaller than a business’s main site but has links to it. Often a business will create a microsite when starting to promote a new product. This is a particularly good idea if a business’s main site isn’t entirely appropriate for another country. 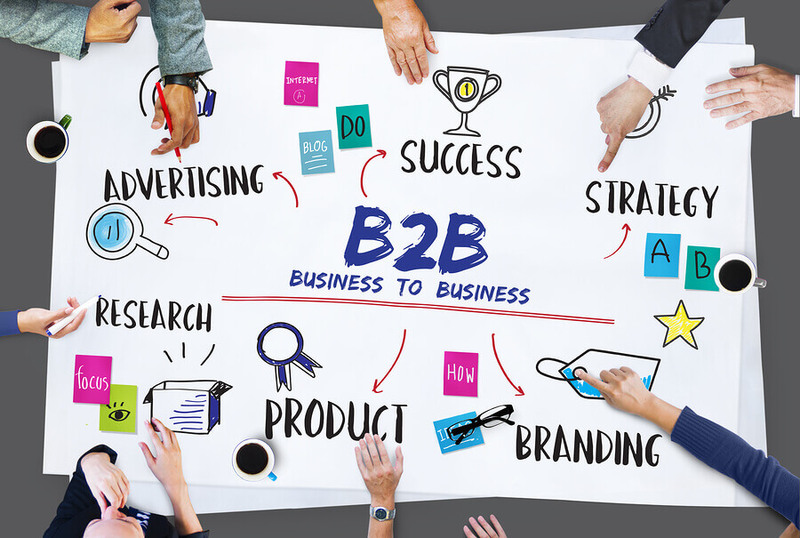 Some of the useful content can be translated and transferred to the microsite while marketing material for the particular customer in another country will need to be adapted to suit the culture of the likely customer whether it’s B2B or B2C. You are out to target and welcome new audiences. It offers good search engine optimization (SEO) prospects. It is a way to customize your product to a new B2B market. You are testing your product in new waters. First of all check on the visitor numbers for your main site and those that attract the most hits should be transferred to you new microsite. Do some research on your B2B target audience and see what sort of content attracts them the most. Make sure what you choose is translated appropriately for a B2B audience. You must ensure that the links work back to your main website as the businesses accessing your profile will see where your business origins are. Once the microsite is ready to load localising it appropriately means ensuring any images or videos are suitable for the intended audience and any voice over translations have been completed. This includes everything from image choices to videos and PDF files. You will need to get your search or keywords optimised for SEO and this means getting an experienced translator to incorporate the keywords into your content pages. This has to be done in such a way that the text flows smoothly and there is no inappropriate or poor language used that may distract the reader from your site. B2B localisation is very important as this is a far more competitive world than B2C. You want to attract overseas businesses to buy your product in bulk and on sell it to the final consumer. Packing a container load of your product into a container or two to send to an overseas business is far more lucrative than handling one good to one customer sales which is takes up much more time and involves a higher cost per product. It’s not too difficult to find a translator who can translate your text into a more commonly used language but when it comes to unusual languages like the African languages of Acholi, Ewe, Dzongkha or Mien this can be quite a challenge! Often, less spoken languages are found in poorer parts of the world where there are few speakers and the educational level of the population is poor. This means it’s rare to find a good language translator who has the skills to translate from or into his or her lesser known and more unusual native language into a language such as English. Finding an online resource to do the job of translating these less well known languages into other languages is a feat in itself, let alone finding an experienced translator with these skills. What Do You Do When Seeking a Translation of an Unusual Language? There is always someone trying to find a niche, whatever the industry. So you could probably find someone who does speak the unusual language, but isn’t necessarily that competent in English. Even an experienced language services provider (LSP) may not be of much use as they too may have difficulty accessing speakers of unusual languages. This doesn’t mean they won’t attempt to find somebody to do the translation job as they will have a good go. They will spend time searching through their database of translators until they come across somebody who has the competency to do the translation job. Basically when it comes to making the decision of who to hire for your unusual translation you take a chance that the translator you eventually hire has the ability to do at least a readable translation. They will try to use whatever technology they have to ease the difficulty of finding a competent translator for the unusual language pair. They will, of course, integrate the resources that come with machine translation (MT) but machine translators need to have been inputted with information before they can be used effectively. The chances are with an unusual language that the machine translator won’t have sufficient information stored as this type of device tends to work only when a huge amount of translated content has been completed, analysed and stored so that when accessed it can generate a translation with the help of all the stored information. Once you have chosen your translation services to translate your text from an unusual language into English you will just have to sit back and hope you have made the right decision. Artificial intelligence (AI) is becoming important in relation to voice-to-text translation. 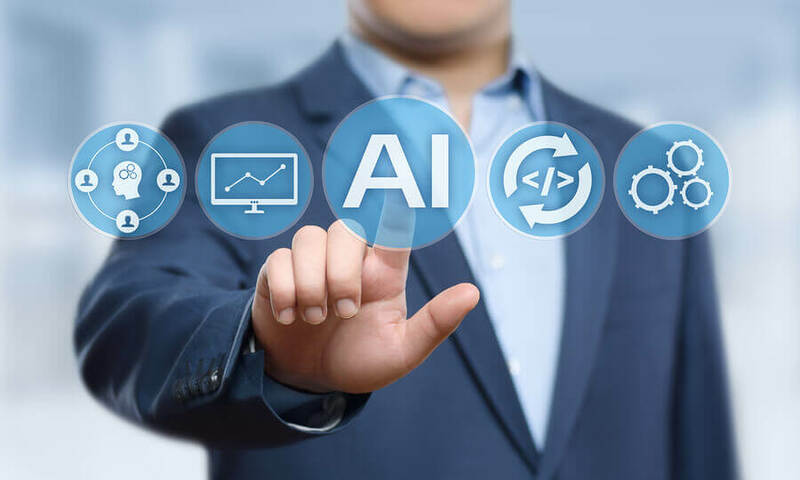 So far, the aim is for AI and machine learning (ML) to achieve 99 percent accuracy when AI and ML are used in the coming years. It’s getting so sophisticated that when using ‘Smart Compose,’ where someone in Gmail writes a sentence and ‘the app is able to write the following sentence based on the context of the first sentence. Google understands how important speech-to-text is to people on a daily basis and an accurate voice-to-text experience is critical when trying to answer a message when driving a vehicle. It is an important method to use for responding to a text message or email on smart phones and wearables. It will also eventually become valuable when mixed reality glasses are being used. At the moment Google Translate is by no means perfect, but it’s expected that an increase in the use of AI and ML will improve the results of Google Translate. If you are travelling to countries where you can’t speak the language there are a few handheld products that try to translate as you speak into the local language but they are at the moment still limited in their capacity to be exact in their output. 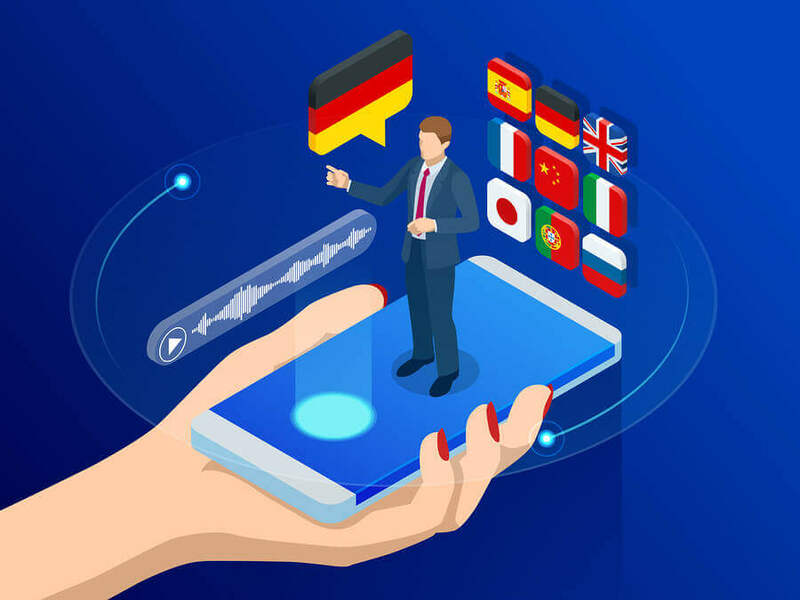 Google is looking at ways of making breakthroughs in this type of translation and it seems Android users are going to see some marked changes in the near future. Apple is currently engaged in AI and ML research around different features of voice and text translation so Apple may soon be rolling out some choices. There is no doubt that AI and ML are expected to have a major impact on voice-to-text translation, most likely as part of UI in augmented reality (AR) and virtual reality (VR) or mixed reality glasses. This will all make translations far easier for world travellers. The Italian economy, while not the largest in Europe (that distinction goes to Germany), is still very significant, making Italy an important trading partner. In 2017, for example, the U.S. alone exported around $18 billion worth of goods and imported $50 billion of goods from Italy. The U.S., of course, has a particularly large number of people who have Italian or part Italian ancestry, but this is also the case elsewhere in the world, such as Australia. The business ties with Italy alone make it imperative that importance is attached to learning the Italian language to aid communication with business partners. Everyone knows about pizza and pasta and these are certainly important in their country of origin, too, but Italian food is more than just these two items. If you have become a fan of Italian cuisine, then this in itself is a reason for learning more of the language. Many visitors to Italy go there to see some of Italy’s outstanding architecture. Italian architects were instrumental in developing some of the world’s most recognised ancient styles such as Baroque, Neoclassical, Renaissance and Roman. Even those with less appetite for architecture will still make sure they visit famous and iconic buildings like the Colosseum in Rome and the Leaning Tower of Pisa in the town of the same name. Tourists may also enjoy seeing some of Italy’s many castles such as the Valle d’Acosta Fort Bard and the Verres Castle. Learning Italian helps if you love the opera. Most opera performances today are in Italian, especially some of the classics like ‘La Traviata’ and ‘Aida,’ which were created by Italians. Then there are the many art galleries with art by famous Italian painters and sculptures by Italian sculptors. Italy, of course, is well known for its fashion houses, like Armani, Benetton, Gucci, Prada and Versace. Italian is one of the world’s most important languages and its ties to Latin make it an important link to many other Latin languages like French, Spanish, Romanian and Portuguese. Even English has taken much of its vocabulary from Latin, making it as much a relative of Italian as other European languages, although admittedly it has also borrowed from Germanic languages, Celtic and even Hindi and Arabic! Italian today is spoken by more than 68 million people. Most live within the borders of Italy itself, with Switzerland being the country with the second highest number of native Italian speakers.